George Edgar Ohr, the self-proclaimed Mad Potter of Biloxi, was a ceramic artist active from 1882 to 1907. Born in Biloxi on 12 July 1857 to Eastern European immigrants Johanna Wiedman Ohr and George Edgar Ohr Sr., he spent his early career training in his father’s blacksmith shop. Ohr went on to learn the mechanics of the pottery trade with Joseph Fortune Meyer, a Biloxi native living and working in New Orleans. In 1881 Ohr left New Orleans to begin a two-year trip across the eastern United States, where he visited a variety of well-established folk potteries such as the Kilpatrick Brothers pottery in Anna, Ohio. In 1883 Ohr settled back in Biloxi and opened his first studio, selling utilitarian and folk pottery. The studio was run solely by Ohr, who dug and processed local clay, built and stoked his wood-burning kiln, and prepared glazes from traditional recipes. Ohr married Josephine Gehring on 15 September 1886, and they went on to have ten children, five of whom lived to adulthood. George Ohr opened the Biloxi Art and Novelty Pottery in 1890, establishing himself not only as a craftsman of utilitarian pottery but also as a clay artist. On 12 October 1894 fire consumed much of Biloxi, including Ohr’s studio and an estimated one thousand pieces of pottery. Facing the destruction of much of his hometown, life’s work, and family income, he produced the most innovative work of his career, creating a variety of paper-thin vessels known for their undulating pinches, folds, and twists. Ohr borrowed shapes and lines from his early blacksmith training to create curling ribbon handles for vases, teapots, and mugs. The intensity and brilliant color of Ohr’s glazes provoked much comment, and Ohr represented the state of Mississippi at many world’s fairs and expositions, including the World’s Columbian Exposition in Chicago (1893) and the St. Louis World’s Fair (1904). Sometime around 1905 George Ohr stopped glazing his pottery, leaving it in the bisque form to create his most abstract and sculptural ceramic objects. Soon after his explorations with bisque, Ohr stopped potting altogether, and by 1910 his studio was disassembled and his work packed away. Ohr spent the remainder of his life experimenting with motorcycles and automobiles and died in Biloxi on 7 April 1918 of throat cancer. Ohr’s work stayed packed away on his family property until the 1970s. In 1972 Ohr’s surviving children sold the entire pottery collection to New Jersey antiques dealer James Carpenter, who disseminated Ohr’s work to the New York City art world. 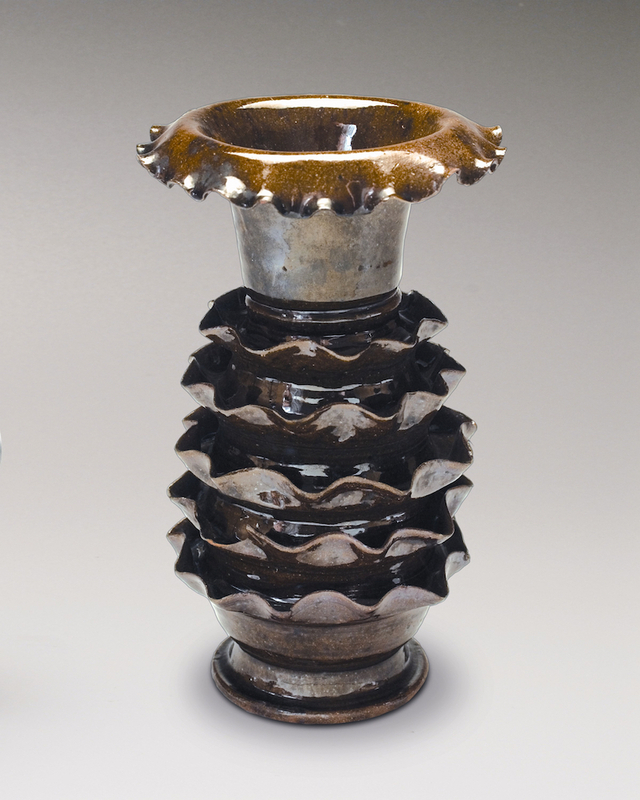 The Old Capitol Museum hosted the first exhibition of Ohr’s pottery, which has also been shown at New York’s Metropolitan Museum of Art and in Ohr Rising: The Emergence of an American Master, an exhibition that traveled widely across the United States and Canada in 2007–9. Biloxi’s Ohr-O’Keefe Museum of Art, designed by famed architect Frank Gehry, opened in 2010 and is the major depository in the state for Ohr’s work.